A serial murderer action mystery, Switchback dips its toes in a multitude of genres and ultimately fails to find a firm foundation. At a typical suburban home, a babysitter is murdered and a child abducted. Separately, in Texas, Sheriff Buck Olmstead (R. Lee Ermey) is dealing with a nasty double murder at a motel room, plus an impending election challenge from his rival Jack McGinnis (William Fichtner). Meanwhile, on lonely rural backroads, Bob Goodall (Danny Glover) picks up mysterious hitchhiker Lane Dixon (Jared Leto), and then saves him from a beating at a redneck bar. 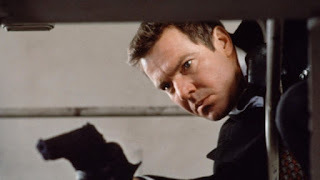 FBI agent Frank Lacrosse (Dennis Quaid) shows up to investigate the motel murders, believing them to be the work of an elusive knife-wielding serial murderer that Frank has been chasing for a long time. After initially clashing, Buck gradually believes Frank's hunch that the serial killer is nearby, and the connection to the babysitter murder and child abduction is revealed. Bob and Lane strike up a friendship, with Lane demonstrating his sharp abilities with a knife to save the life of a choking restaurant patron, and Bob seemingly on friendly terms with every bar owner, motel keeper and train engineer in the Texas backwaters. With Buck heading for a defeat in his reelection campaign, Frank revealing his true agenda, and more FBI agents descending on the scene, the killer strikes again as a showdown on board a train looms large. Written and directed by Jeb Stuart (best known for writing Die Hard and The Fugitive), Switchback is character rich and has no shortage of ambition and ideas, but is never able to pull together a cohesive, compelling narrative. Combining slasher-horror scenes, a serial killer mystery, rural small-town politics, agents following their personal agenda plus an action-packed (but mindless) climax on-board a speeding train, Switchback bounces around looking for a theme or structure, and instead finds fragments of ideas which don't quite fit together. It does not help that there are plenty of critical plot holes. This is a script that demands plenty of coincidences to work, with the final, supposedly carefully planned showdown between killer and pursuer only taking place after frantic and unlikely stumbling through the snow by all parties, with several spectacularly overturned cars thrown into the bargain. Worse is the absence of any meaningful backstory for the serial killer. Switchback is to be commended for spending plenty of time with the perpetrator of all the murders, both before and after his identity is revealed, but it is time mostly wasted. Why this man kills is never explained. With no shortage of intriguing characters populating rough and ready Texas locations, the performances oscillate between miscast and intriguing. Dennis Quaid appears rather uninterested as the sombre agent Frank Lacrosse, tortured by dark secrets of his own. 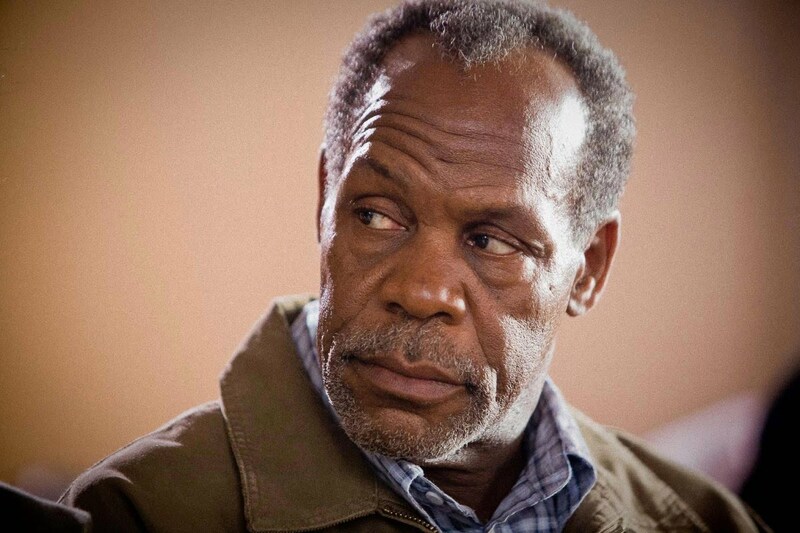 Danny Glover is almost too jovial but certainly memorable as Bob, the traveler who knows everyone by name. 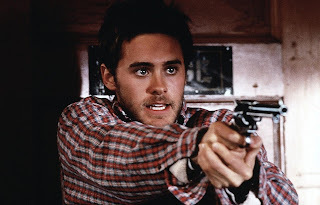 Jared Leto is intensely magnetic as the young hitchhiker Lane with a disproportionately dark past. R. Lee Ermey and William Fichtner add plenty of colour as sheriffs dueling in both law enforcement and politics. For whatever reason, Stuart does not come up with any major roles for women in his sprawling script. Switchback is not bad; just unfortunately clumsy, a case of too many ideas backing into each other.